This is how much Tony Baldry (MP for Banbury) was paid by James Ibori for work representing him in the UK between September and December last year. £1,200 as an hourly fee (just under £10,000 per day) isn't bad. Look at it like this. Its more than half of what he earns as an MP in a year, earnt in less than a working week. 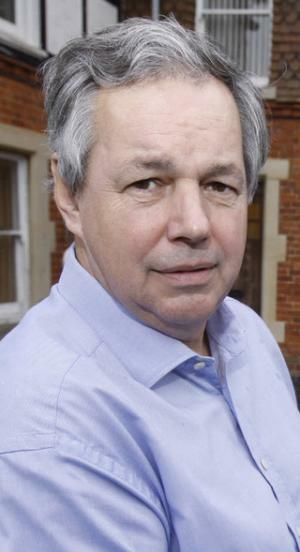 Baldry is involved in a libel claim against the Independent on Sunday, who published a story alleging that Baldry had written to the Foreign Secretary advising that Scotland Yard's investigation into the former governor of Delta State was potentially damaging to British interests. The question is, on the eve of the general election, do the voters of Banbury care a jot about this? Banburyians should note that Ibori was convicted twice when he lived in the UK, once while working as a cashier at Wickes builder's merchants and another time for credit card fraud. The incorruptible Mr. Baldry had to pay back over £12,000 in the wake of the expenses scandal, which included a claim for £1,265 for a coffee machine. One wonders what kind of coffee the machine produces..
Well,well,well...Once a thief,always a thief i guess..this thieving idiot obviously didn't just start when he was governor. No surprise that he got a fellow criminal in the person of the Banbury MP to represent him..birds of the same feather do flock together don't they?